This memoir by Scott Terry describes growing up in the 1970s, in a home ruled by a tyrannical step-parent and a restrictive religion. Readers follow Terry to adulthood and through his personal struggle with his beliefs and sexuality. Ramblings in Ireland by Kerry Dwyer is an account of a Brit ex-pat living in France, and her French husband, Bertrand, ramble literally and intellectually through Ireland. Their rambles include life, love and the helpfulness of having a partner who can read a map. Qatari Voices by Carol Henderson and Mohanalakshmi Rajakumar is a collection of essays from students at Qatar University and Education City in 2007 as part of a free-form project. They urged the students to write whatever came to them. What resulted was a compilation of essays reflecting a changing culture. 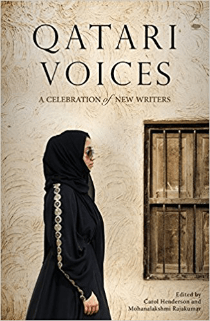 This anthology of essays is a re-presentation from Qatari Voices. Are you wondering what happened to Indie Monday? I read two indie books over the weekend, and neither were good or bad enough to review. I am reaching back into the vault for this review of a book that I truly hated. I wonder if, like me, you read this memoir and marveled at how it made the NYT Bestseller List. This memoir highlights that the list is based on sales and not quality. Bitter is the New Black By Jen Lancaster, Jen was living the high life until she lost her job and her man and could no longer afford the things that had previously defined her. What would this narcissist do in a bad economy and with a horrible disposition to restore herself to her previous glory? In A Killing in Iowa: A Daughter’s Story of Love and Murder by Rachel Corbett, the author tells the story of growing up and knowing that her mother’s ex-boyfriend had killed himself, but not knowing the full details of his death. When she finds out that his death was the suicide part of a murder/suicide, she launches a quest to find out more about the crime and why this man she considered a father would have done such a thing. Bryan Batt is a Broadway actor and played Sal Romano on the award-winning show, “Mad Men.” In She Ain’t Heavy; She’s My Mother Bryan Batt tells the story of Gayle Batt through key moments in his own life. From his debut in pink silk at the Spring Fiesta Parade in New Orleans to running through the streets with a wheelchair on 9/11, Batt relays his experience of life in the south and as the son of a truly strong southern woman.